I have extensive experience as a public art project manager, and art director. 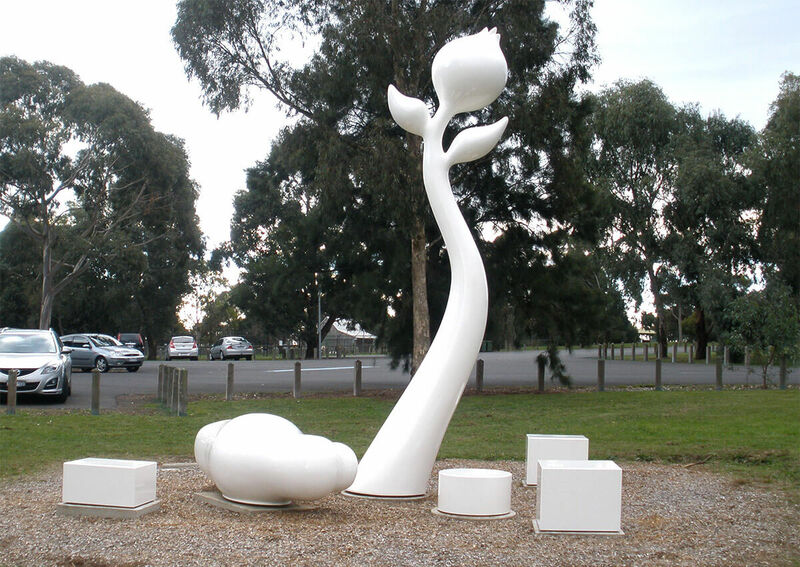 I specialise in planning and curating integrated art for buildings, parks, streetscapes and other urban spaces. Other roles include contributing to the development of Arts Policies and Strategies for public art, visual art and civic history collections, managing public art maintenance and working with Developers to integrate public art into new residential areas;. One of my key aims is to collaborate on projects in the public realm and to create "erotically charged zones". 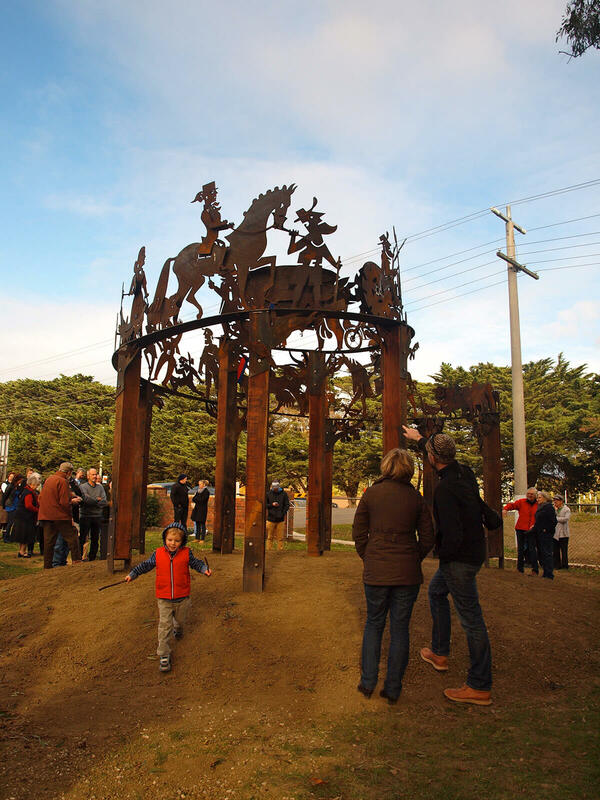 The Grand Parade by Geoff Hocking, Whittlesea Showgrounds. A City of Whittlesea and Whittlesea Agricultural Society project. 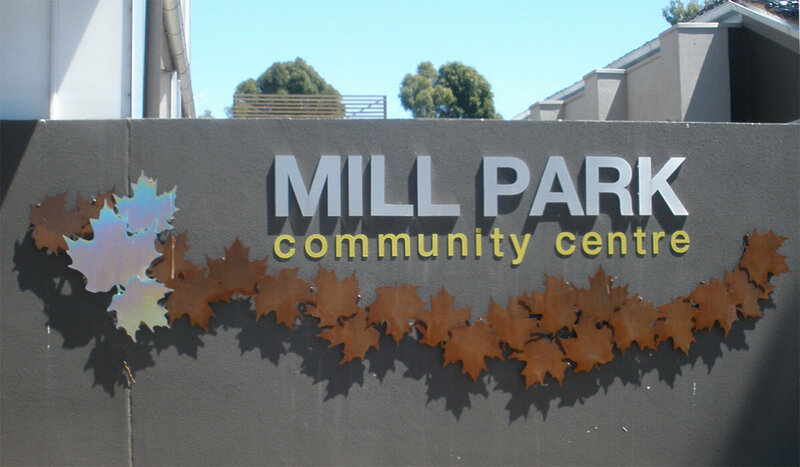 Autumn Leaves by Rudi Jass, Zinc plated steel and steel, Mill Park Community Centre, a City of Whittlesea project.